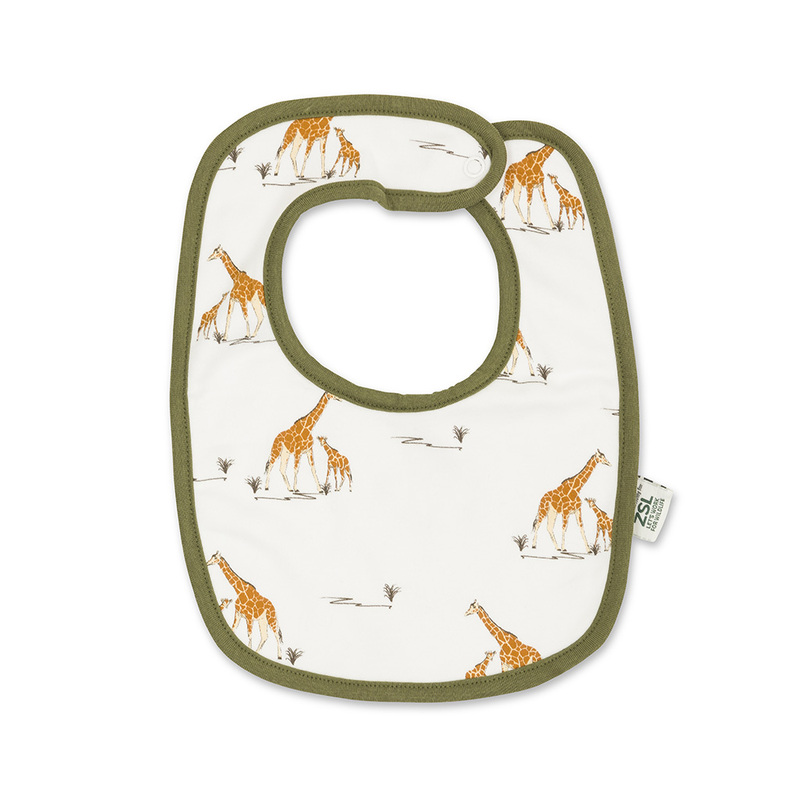 This lovely giraffe bib is made from 100% cotton featuring cute giraffe illustrations. This bib is perfect for mealtimes, with useful popper opening so that putting it on is fuss-free. Great gift when paired with matching bodysuit.